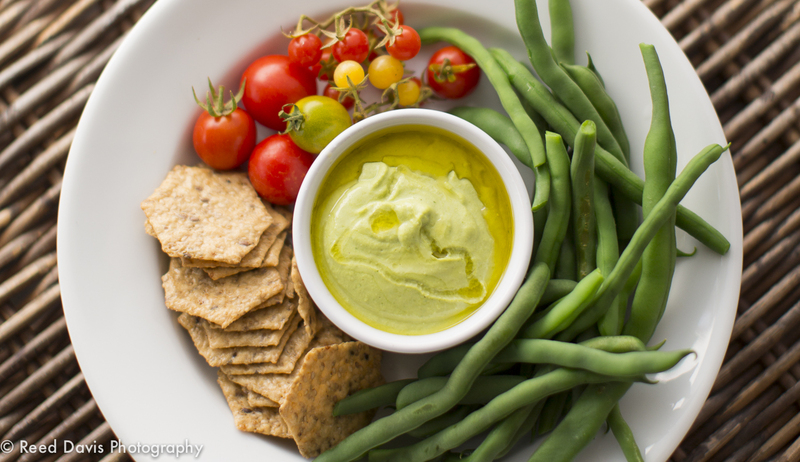 reeddavisphotography: Cilantro Hummus Summertime Favorite.... Easy! Place beans, garlic, lemon juice, tahini, ¼ cup of the olive oil, cilantro, spinach, cumin and salt in a food processor or blender (good Blender works best for me). Add liquid from the canned beans and process to a smooth consistency, about 2 minute.